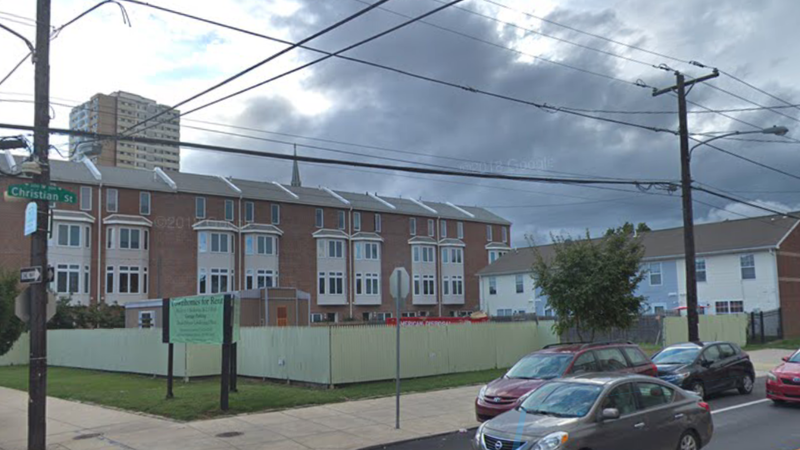 Home News QVNA zoning board shoots down proposed 33-unit development at 300 Christian St.
QVNA zoning board shoots down proposed 33-unit development at 300 Christian St. But that doesn’t mean the project is completely dead. At Wednesday night’s Queen Village Neighbors Association zoning board meeting, the board’s chairman, Peter Piven, announced that the board will not support the proposed five-story, 33-unit development project at 300 Christian St., delivering a blow to the project’s developer, Philip Harvey. Harvey also owns the adjacent development Salter Mews. But that doesn’t mean the project is completely dead. When developers seek a variance from the zoning code, which the development team did in this case, the final decision on the project’s fate is made by the city’s Zoning Board of Adjustment. However, when making its decision, the ZBA takes into consideration the support – or in this case lack thereof – of the local neighborhood association assigned to oversee the community’s residential input. In this case, the developer was seeking a variance to build an apartment complex in an area zoned RSA-5, which allows only for single family homes. Nearly, if not all, residents who attended the meeting did not approve of the project. Their chief concern was parking. The developer initially had plans for 11 parking spaces, which was shown to residents at the most recent February meeting. After hearing residents’ concerns over the lack of parking, they added nine more parking spots to the project’s most recent revision. However, residents still did not feel that 20 parking spaces were enough for a 33-unit apartment complex. Resident John Goss echoed Schneider’s sentiment. Residents also questioned why Harvey decided against building single family homes. Harvey said that his original plan was to build townhomes on the land, just like he did with Salter Mews. However, selling those homes wasn’t as easy as he expected it to be, which he blamed on nearby public housing. Harvey also sought a variance for height. The project calls for the building to be 54 feet high, while zoning allows for a maximum of only 38 feet (project architect Jerry Roller was quick to point out that the cornice of the building reaches a max of only 46 feet, however. The extra 8 feet was for the stairwell and elevator shaft on top of the building, which would transport residents to the proposed roof deck; for this reason, he felt that residents should treat the proposal as a four-story unit, not a five-story unit). Roller said that the roof deck would not be visible to residents because it was set back 23 feet from the edge. An exact time and date for the zoning board’s hearing on the project is to be determined.